This said, what the N11/N15 did have with both the Magicos and the Maggies—and Class D, as I remember it, never had before with any speaker—was surprisingly high-resolution top to bottom, lifelike three-dimensional presence, and superb transient response, particularly in the midband and lower treble. On a recording like the fine Analogue Productions 200-gram LP reissue of Son House: Father of Folk Blues, you’d simply have to hear the “in-the-room-with-you” realism with which MBL gear (in combination with the Maggie 30.7s) reproduced the sting and snap of Son House’s hard-plucked National steel guitar and his weathered voice on “Death Letter” to appreciate how realistic MBL’s Noble Line electronics (in combination with a first-rate analog front end and a congenial load) are capable of sounding. This is nothing like Class D of old, as I remember it. With the Magicos I tried an experiment, comparing the sound of the M3s driven directly by the MSB Reference DAC’s excellent analog volume control (i.e., with no outboard preamp) into Constellation’s superb Hercules II Stereo amplifier to the sound of the M3s also driven directly by the MSB DAC into the Noble Line N15 amps, and then with the signal sent from the DAC through MBL’s N11 preamp into the N15s. To minimize the difference that I knew the MBL preamplifier was going to make, I used it in what MBL calls “unity gain” mode, which is said to lower the noise floor, increase transparency, and improve dynamic range. How unity gain does these things involves an interesting bit of thinking. In a typical playback system, the power amplifier expects the preamplifier to relay a signal at a maximum of 2V RMS (which happens to be the standardized fixed output of a DAC). However, today’s preamps typically amplify the input signal by 12dB (a gain factor of 4) before delivering it to the amplifier input. With a source device that has a voltage of 0.75 volts (such as certain analog phono- stages), the preamplified voltage would be 3V, which means the volume level would have to be reduced by at least 33% in order not to exceed the maximum level that the amplifier is looking for. With a 2V digital source, the preamplified voltage would be 8V, which means the volume level would have to be reduced by at least 75% not to exceed the maximum level the amplifier is expecting. If drastically reducing volume levels via your preamp’s volume pot were a harmless procedure, there would be no problems. But it is MBL’s contention (proven by measurements—for which see the LASA 2.0 white paper) that such massive reductions in volume are not made without a cost. In fact, such changes dramatically constrict dynamic range, reduce resolution, and raise distortion. When used in user-selectable unity gain mode (actually a misnomer—it should be called “low-gain” mode, one of the two volume-control strategies available in the preamp, the other being a conventional “high-gain” mode), the N11 adds considerably less boost to and subtracts considerably less boost from the signal it is being fed than a typical linestage preamp. Though what MBL is calling unity gain isn’t, technically, a true pass-through (in which nothing at all is added to or subtracted from the source signal), the circuit does reduce the preamp’s maximum gain factor to something on the order of 1.8, making the price you pay in dynamic range, distortion, and resolution for reducing levels less deleterious, audibly and measurably. I’d have to say from listening tests that what unity gain is doing is largely, though not entirely, salubrious. While the MSB/MBL/Magico system (with or without the preamp in unity gain) did not have quite the astonishing neutrality and sensationally realistic “thereness” that the MSB/Constellation/Magico one did on, say, Harry Connick, Jr.’s, rendition of “A Nightingale Sang in Berkeley Square,” it came close, with slightly less treble detail and that darker palette I mentioned holding it back from unalloyed goosebump territory. On the other hand, the MBL preamp in so-called unity gain mode did have a wee bit more dimensionality on Connick’s voice (and Branford Marsalis’ sax) and about the same amount of dynamic energy (albeit with less detail) as the MSB volume control by itself. 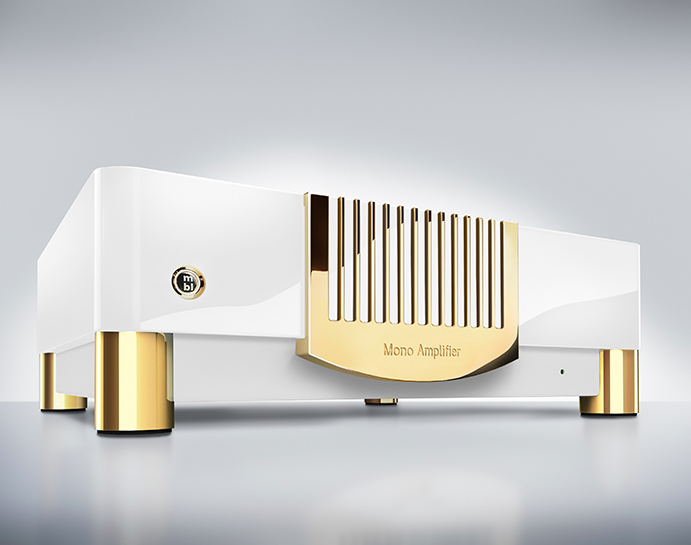 For a preamp priced a hair under $15k and a pair of monoblock amps about a third the price of the Constellation stereo amp, this was highly competitive performance.